"I think, mostly, I am suffering from a confidence problem. I got thrown about 6 months ago and just haven't been able to get over it. Ever since, every ride has been horrible. I was wearing a helmut, thank goodness, because I landed on my head, but I was still pretty sore and bruised up. My horse spooked and nothing in particular and, to say the least, I handled it poorly and a bit off balance, which resulted in the rapid, unplanned dismount. The thing is, this is basically a good horse, not mean at all. I've done everything with him. We did trail rides through anything and everything. I've placed 1st or 2nd in every class we've been in (low level dressage). But he's also a smart horse and has figured out that bucking and bolting is great for work avoidance. What do I do? Since that first fall, he's bucked and bolted every ride. Fortunately, I haven't come off again, but to say the fun has gone out of this is an understatement!! I don't want to give up on this horse. I have no reason to think there is anything physically wrong with him. He is sound and shows no signs of pain or discomfort. I truly believe that this behavior is avoidance." Having been nearly killed in a horse wreck some years back, I certainly understand the confidence problem. The confidence usually comes back after a period of grieving and a one small step at a time course of action toward recovery. 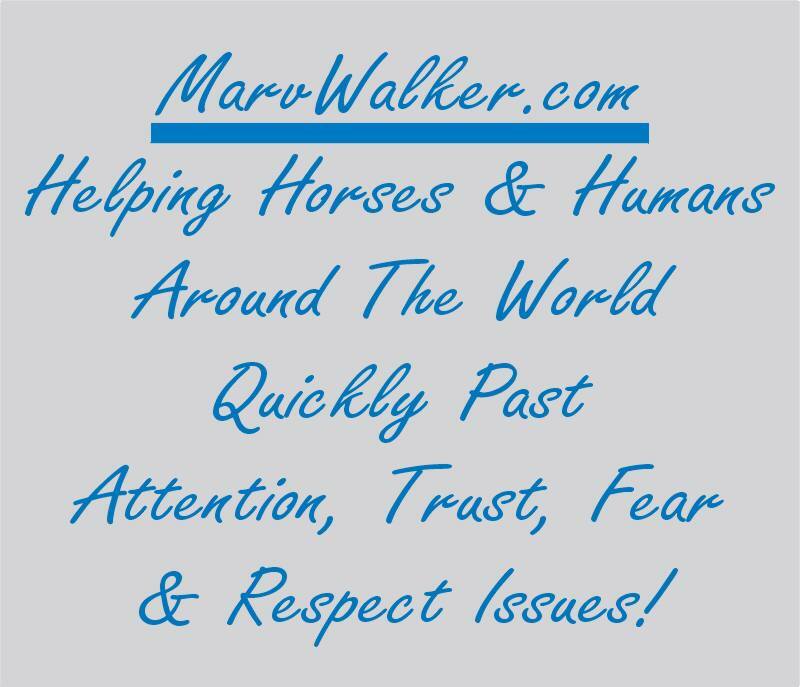 Getting on the horse in very controlled situations (soft, fairly deep arena, for example) and becoming comfortable small initial steps and successes before moving on to more braver actions. You have lost a part of yourself namely your faith in your abilities. It takes a while to adjust to that loss mentally and to feel your way back. You say you truly believe this behavior is avoidance. Does it seem logical to you that a horse who has such a record of compliance would instantly, for no reason I can see from your report, say, "Forget this!!!"? From what I gathered from this post, that's exactly what he did. One day you had a nice cooperative horse, the next you had a pain in the... (Ohhh..bad pun..sorry!) I suppose it's possible. I just don't think it's likely. If you are convinced it's behavioral, I have a round pen bonding scenario that will go a LO-O-O-O-NG way toward making him more cooperative and willing to work WITH you. If you, or anyone else, would like a copy, email Bonder@MarvWalker.com and I'll forward it to you. You can see what difference it makes. If your problem IS behavioral, and I'm pretty sure it isn't based on his past history of compliance, the bonder WILL make a major difference in him. I suspect he spooked at something and when you came off, or even before, a combination of his sudden movement and your lightning fast attempts to stay with him popped something out of whack. Perhaps as he went out from under you you held the reins and his head may have jerked back in the direction he came from...viola! Possible displaced cervical vertebrae. He could have been between weight shifts when he spooked and pushed one part of his body while he dragged the other...viola! Possible displaced spinal vertebrae. Any number of things could have happened at the original spooking / dumping. Rib out of place, sacrum misalignment, shoulder out and so on. Can I say for sure this IS what happened? No. But I'd sure suspect it. Such a rapid change in a horse is seldom behavioral. Usually, behavioral changes come in stages. I'd have the horse examined by an equine chiropractor if you have one available. ESPECIALLY if one or more ribs stick out noticeably further than the others, there are bulges on the side of the neck, if when you look down the neck it looks snaky instead of straight, if the horse grazes jerkily, if there are any lumps on either side of the spine or one hip tips noticeably lower than the other. Since he bucks and bolts I'd suspect the problem is behind his withers. Shows no signs of discomfort or pain? Maybe not all the time. And maybe when he does show pain by bucking and bolting, you're much too busy to notice it. And maybe, just maybe, the only time he experiences pain enough to cause such a severe reaction is when you're on him and causing pressure on a sore or weakened area.